Auckland: a sprawling car future? Food price rise statistics have been bandied about both here and on Kiwiblog lately with various claims – increases for the past ten years. These are from the Reserve Bank Inflation Calculator, annual to Q4. Note that government policies are only one factor that will affect these, there are seasonal effects and in particular world commodity prices and world recessions. Why would you use the inflation calculator rather than the CPI? Oh, look at that – actual inflation in 2008 was ~5.5%. Looks like it was so you could lie. Statistics don’t lie – they can tell any story you want them to (eg trying to accuse others of lying). I didn’t lie either, I just presented easily verifiable food price rises which were what the discussions were about – CPI and inflation can obviously be different but they weren't part of those discussions. And oh, look – actual inflation in 2008 was ~5.5% – that’s very high compared to rates over the last decade, isn’t it, even compared to 4% last year which includes the GST bump. food price and oil price changes have nothing to do with govt policy, unless the govt has changed tax on them, because these are international prices that we don’t influence. In 2008, inflation spiked to reflect the global oil/food price spike, as it will this year. Ironically, National has contributed to inflation currently with the ETS on petrol and GST. Can you point to a government policy in 2008 that increased the price of oil and food in NZ? No, you can’t. Note my close on the first post. You seem to disagree much less than you think – there are a number of greater influences than government policy. Oil prices do impact on food prices, they add to the cost of production and transport, but are usually beyond government influence..
Actually, you presented no link to any statistics whatsoever and so it could only be assumed you were talking out your arse (ie, lying). No, actually, they can’t. The CPI is the official measure of inflation. that’s very high compared to rates over the last decade, isn’t it, even compared to 4% last year which includes the GST bump. Yep, probably due to the oil spike which also caused the GFC. It may have happened in Labours term but it’s not likely Labour caused it. In fact, it would seem that the “free-market” did. Actually, you may not have spotted the standard blued link “Reserve Bank Inflation Calculator”. And they are easily verifiable if you follow that link. I’m not lying. Hahah yes every family living on the median income of $41K p.a. uses the Reserve bank inflation calculator to see if they are better off these days after the weekly shop and fill up at the petrol station. Bill and John are so screwed. actually CV, these families do not fill up at the petrol station, those days are long gone. They put $20 in and stand there vigourously shaking the pump to get every last drop out of it before hanging it back up. Thanks for the stats Pete. We (and in reference to your post on yesterday’s mike, “we” = my wife and I, no-one else) really appreciate it. Perhaps you could show us the changes in the median household income over the last 10 years as well. The statistic I am interested in is the $75 it now costs for the milk, bread and a little bit of meat shop compared to $50 a couple of years ago. The $120 it now costs for a petrol fill. At the same time as the take home pay has remained the same. The 2% pay rise this year against 5 or more % inflation. And the 40% pay drop against the CPI since 1980. This is for a very highly skilled job which employers reckon is impossible to get enough people. Neo-liberalism has been such a success. In making even the middle class poor! I did see it, yes, but it’s not a statistic. Behind the calculator is the statistics which I linked to. Considering that the figures that you listed do not match the CPI you must have been using the “Reserve Bank Inflation Calculator” to produce incorrect numbers. You did this either through lying or through stupidity. I suppose it could have been stupidity – anyone with half a brain knows that you don’t use the “Reserve Bank Inflation Calculator” to show inflation at a particular time but the recorded CPI. Both calculations show that National is making our lives more difficult. You’re the one talking about stupidity, but I’ll repeat – I was not trying to show inflation/CPI, I was showing food price increases. You’ve done nothing to show those figures were wrong, you’re trying to diss by diversion to different data. Deliberate or dumb? @Pete’s stats – what year did we get the supermarket duopoly again? There has developed a massive disconnect right across the West between the political/media/plutocratic elites and the general population. Be it UKIP, the hard “right” (although much of it isn’t right wing at all – they are in fact the only voice of the marginalised working class) or the Tea Party there is undoubtably a big constituency for the type of policy mix described above. What fascinates me is who or what will harness these forces here first? I suspect that NZ First could if – as in France with Ms. Le Pen – a “new” Winston emerges to take the reins. Will it happen? This probably un-noticed after posting it after midnight last night. They wouldn’t go far wrong if they supported Kelvin Davis, even if they don’t like Labour. He’s articulate and appears to work hard. A good man it seems. Yeah, I’m becoming less and less sure that Hone has any particular plan or goal in mind. It looks like a shambles (as well as his continued insistence that he would stay in the party – get real). This way Maori plus Harawira could get more seats between them. I suspect that’s what was talked about with the split, win-win for both sides. The BIG question is if Harawira and maybe Bradford or McCarten and whoever climbs on board that waka could attract any significant level of party vote. I just heard on the radio last night (Checkpoint) that Hone was hoping he could come to an agreement with the MP over their concession of not standing anyone against him in Tai Tokerau. It seems the MP agreed not to stand against Hone as an independent, but if he starts a party and stands candidates against them in their electorates, then they will also stand against Hone in Tai Tokerau. So no, I’m not really sure that your analysis of the situation is actually what Hone planned (in other words, your plan is good, but again I think it’s overestimating Hone). I saw the same item, ianmac. Mr Kingi was the spokesman. 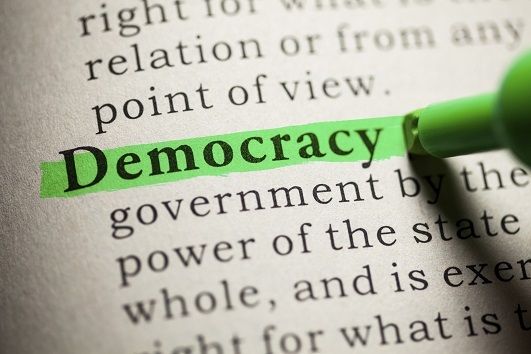 What I do not fully understand is how Maori politics works, in that what is being implied is that certain leaders can either influence a choice of candidate or influence others to change their vote to another candidate or party, with a reasonable certainty that change will happen. I read what Mr Kingi was saying as a serve to Hone Harawira that local Maori were unhappy with him, and that local leaders should be heeded. I am unhappy with the hints of autocracy and elitism this may imply. I hope I am wrong and that I can be set right on this. Is it no more than community leaders who are listened to by their community because they are trusted leaders with no personal or political agenda? Am I displaying a cultural bias with my Irish, republican, egalitarian, ‘never trust the ruling class’ roots? Mr Key feels safe in Christchurch when he is there. would you venture into those areas with equal confidence? accompanied by officials in their CD uniforms. “The question for our Rugby World Cup tsar, Murray McCully, is obvious: who owns AMI Stadium? Interesting, so if mining could be set up so NZ gets more benefits then they’d be more likely to come on board? even if permitted today, mining wouldn’t start for 5 to 10 years. Not a funding solution to the current problem. why is transmission gully or puhoi to wellsford something you want to spend money on? TG has a benefit cost ratio of 0.6 = for the $1.025 billion cost, you get $600 million benefit. The Holiday Highway has a BCR of 0.8 = for the $1.38 billion cost you get $1.12 billion benefit. Total for these projects of nearly $2.5 billion spent for $1.7 billion gain. Surely you are opposed to such wasteful government spending. Just to clarify further, those benefit calculations are essentially the “ideal, best possible outcome”. With oil prices rising, we surely won’t see them. Note that rising oil prices also makes the actual cost higher in terms of transporting all the construction materials there. Higher inflation also flows through to higher wages for workers, further pushing up the price. So higher oil prices = increased cost + reduced benefit, making it even worse. I thought Righties were supposed to be up with the play on Cost/Benefit analyses? Everything I see these days from them seems to disprove that theory. It works out very well for National. More highways=party funding from the trucking industry=money to pay Crosby Textor=more bs= re-election=good jobs for ex National Ministers with corporate thieves. Having said that the C/B for improved transport links with Tauranga would have given even worse C/B when they were proposed. Who would say they were not worth the money now. That may well be the case for improved links by road and rail to Northland. Marsden point is the best natural deep water port in the country, for modern fuel efficient large ships, and a regional industrial hub. Imagine the extra congestion costs in Auckland if Tauranga had not been developed. yeah, that’s very true. I keep meaning to oia NZTA to get the oil price assumptions underlying their traffic volume assumptions. I suspect there actually aren’t any, traffic growth is treated as axiomatic and will have been modeled simply off historic growth and population projections. If they aren’t modelling using $4/L petrol and $5/L petrol scenarios, anything they do looking out longer than 2-3 years is suspect. they don’t need large amounts of money spent on them. we may as well borrow $800 million, put it in a pile and burn it. The net effect on our wealth would be the same. Well no, not really. The cost is spent on the wages of workers (NZ locals who support families, and pay tax) and on materials. A lot of the materials for roads probably come from within NZ. Those that are bought offshore would worsen our balance of trade. So burning the money isn’t really the same outcome as spending it. It’s not money that we need to rebuild Chch but resources and we already have those. Part of what needs to be done is banning the export of those resources. Only John Boscawen would be stupid enough to seriously push this hare-brained idea. National knows that the public reaction to any attempt to “rethink” mining would probably sweep them from office. Why are you posting up ACT propaganda here? Five teahadis arrested in Alaska. Francis “Schaeffer” Cox, Lonnie Vernon, Karen Vernon, Coleman Barney and Michael Anderson are accused of conspiring to commit murder, kidnapping, and arson, as well as weapons misconduct, hindering prosecution and tampering with evidence, according to trooper spokeswoman Megan Peters in a written statement late Thursday. An investigation “revealed extensive plans to kidnap or kill Alaska state troopers and a Fairbanks judge,” the statement said. The plans included “extensive surveillance” on the homes of two Fairbanks troopers, the statement said. More from the SPLC and Infringed or unhinged?, Alaska’s not-so-well regulated militia leaders. Liked the comment: “Should there be a Senate enquiry regarding the radicalisation of Christians?” Yep. Got to be fair Joe. Labels are a bit dodgy. Like the enemy have snipers but the USA only have sharp shooters. 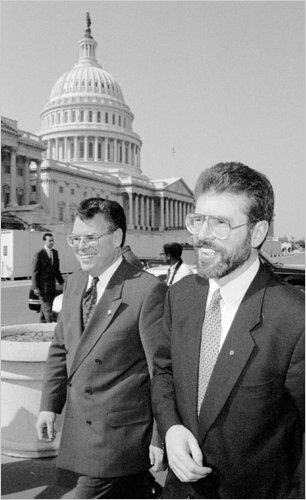 The Chairman of the hearings on Muslim radicalisation is Peter “the IRA never attacked America” King, long time supporter and fund raiser for the IRA. It beggars belief really that with the crises that are going down in the world, we have an “elite” group of people sitting in front of computer screens wheeling and dealing in currency trading, and making a killing – not with their own money but with a nation’s money – they get their cut in the form of bonuses – go figure. We have room for clowns. Key is coming on Friday. I realise that shocking world events have and should be the main news and topics ,but nobody seems to be interested in this weekends ACT conference .I’m hoping it’s because they are washed up .However National wants ACT to win Epsom ,so its going to be interesting to see if Hide gets dumped .If so who will they select? Will it be Banks or Brash or have the Nat’s got someone else lined up . Maybe that’s why Crusher Collins is there. But why is Willie Jackson there ? That really puzzles me . Armstrong: The Prime Minister is understood to have told party workers that his need for coalition partners overrides any local desires for Epsom to return a National MP to Parliament. Heh heh. Admitted reliance on a blatant political rort. Again. Political welfare dependency indeed – economic liquefaction rapidly enveloping the NACTZI feet of clay. It’s panic stations in the moneyed masturbation, brothers and sisters: the plates are aligning from east to west, and the vibe du jour is hammering at their door. and the gas station of the world is on fire. But hark – Uncle Sam’s resilient conscience stirs in Winconsin – and spreads apace. And this time. This time, fellow mother-earth readers and counter-culture vanguardians of progression, we own the telegraph lines.